The low level access Nano 45 can be used to push into position, step into the platform, press a button. Simple. Safe. Efficient. 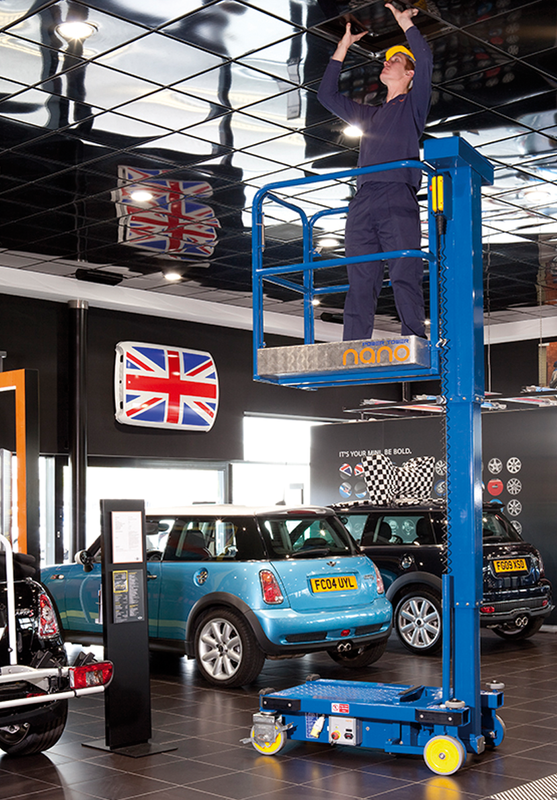 No climbing platform steps, podiums or erecting scaffold towers, the Nano 45 is a cost effective and safe alternative low level access.